Which Trial Support and Courtroom Presentation Equipment Options are Available? Here are several items from our Scope of Services. Please call 888-907-4434 to request the current brochure. We offer a wide range of litigation support services, including exhibit management and production, creating a trial database and exhibit list, assigning exhibit numbers and adding electronic exhibit stickers, case analysis from an "outsider's perspective," and assistance with Mediation, Focus Groups and Mock Trials. We have a great deal of experience in creating effective demonstrative exhibits and slides which may be used in trial. These may also be used for Mediation, Settlement Conferences and Expert Witnesses. 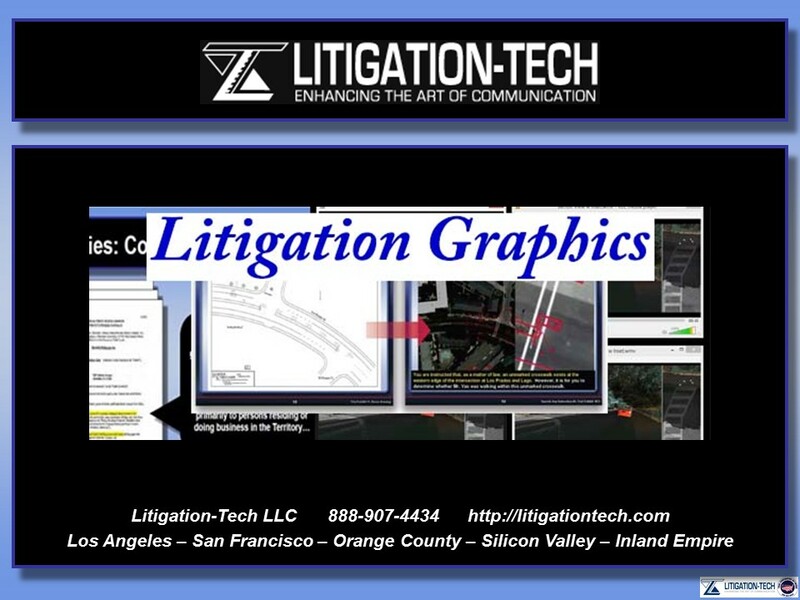 From simple, effective graphics to complex animations and video, we can help jurors understand your message. 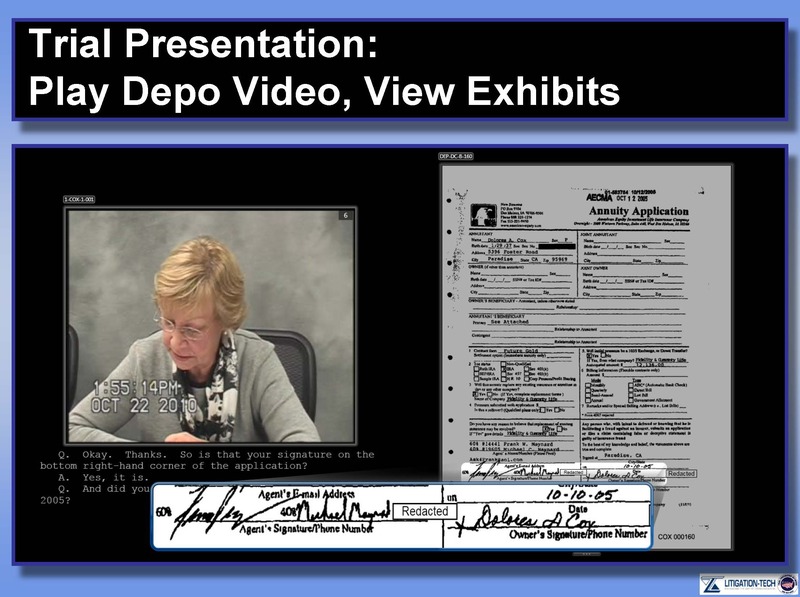 We offer deposition video sync and conversion services, in addition to creating "clips" for impeachment or absentee witnesses. We also feature in-house video editing services for non-depo video, including Day in the Life for Mediation and Trial. This is the core of our business - not just something we're doing as another potential revenue stream. 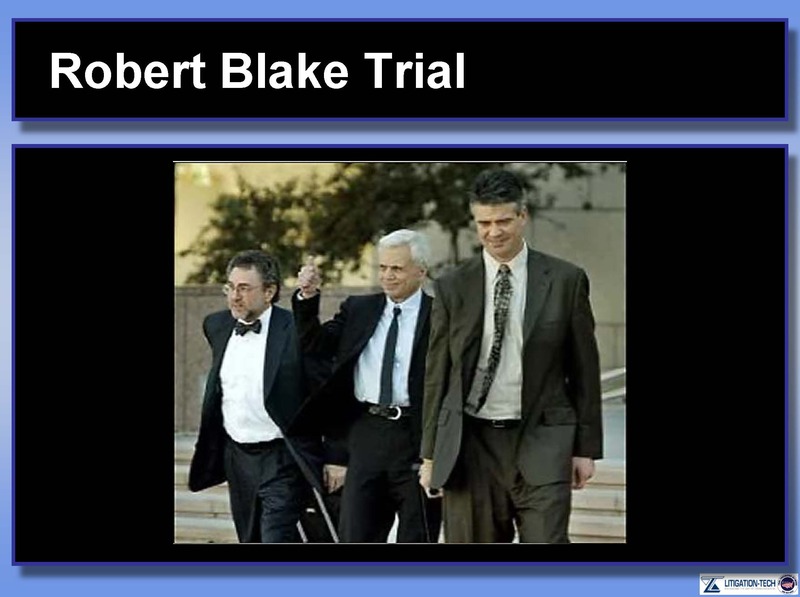 We've worked with many attorneys who had never utilized technology in trial. In each case, they found they are able to try a case in a similar manner as before - the only difference being the manner in which the evidence is published to the jury. 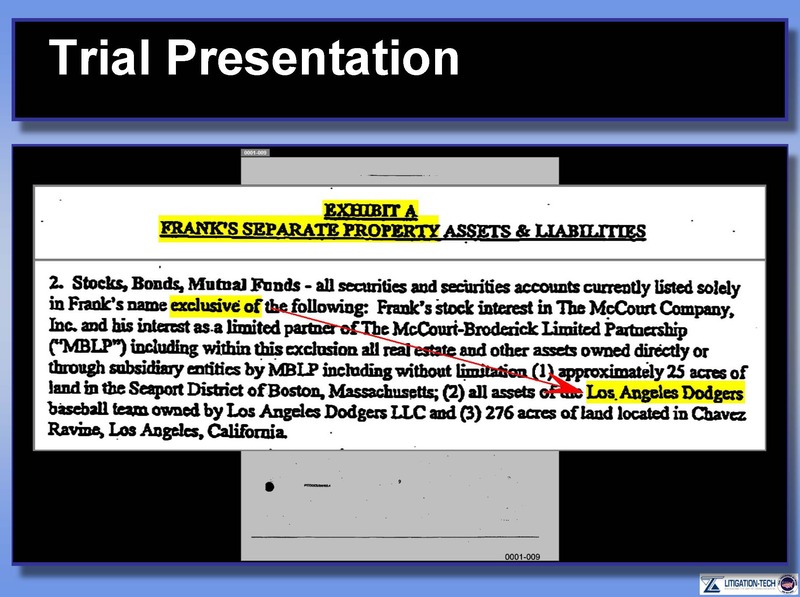 We anticipate your next move, zooming in and highlighting key text as it is discussed during a witness examination. We do not use proprietary software that locks you in to one vendor. We do not charge overtime or rental fees on our trial laptops. We offer a full range of trial presentation equipment, such as projectors, screens, monitors, document cameras, and audio systems. 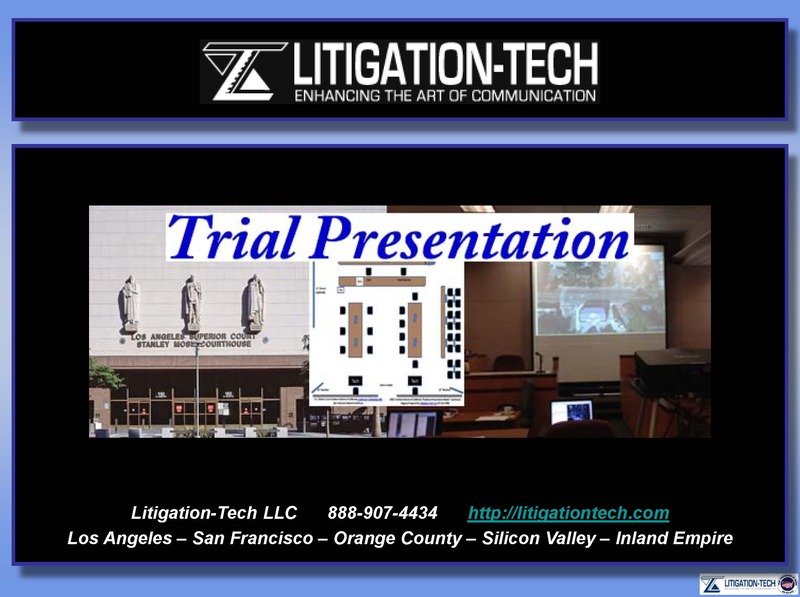 Each of our Trial Techs are experienced in setting up and troubleshooting courtroom presentation systems. Our best rates apply when we are assisting with your trial prep and presentation. In large trials, we are often involved in war room support, in addition to the trial presentation. We never charge overtime, and in very busy trials, we can also provide additional support personnel, when needed. 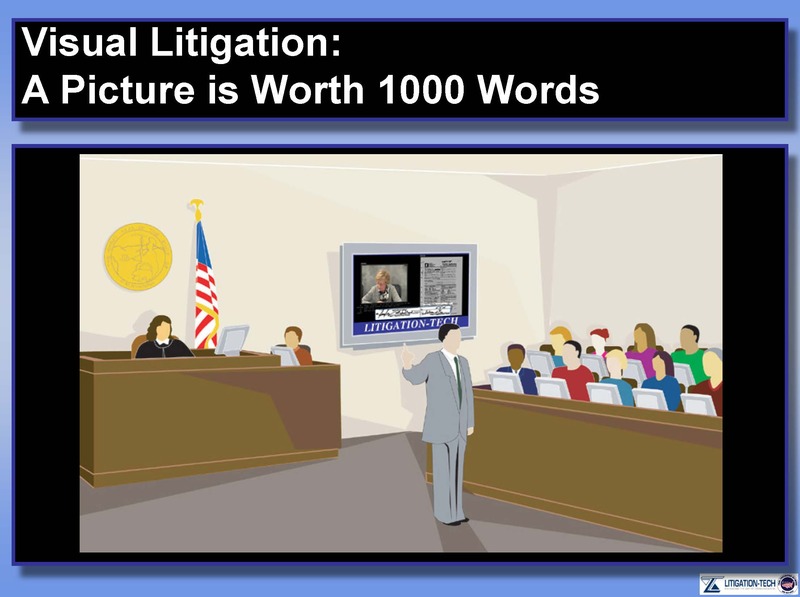 Litigation-Tech offers MCLE presentations to local Bar Associations and other Attorney groups. 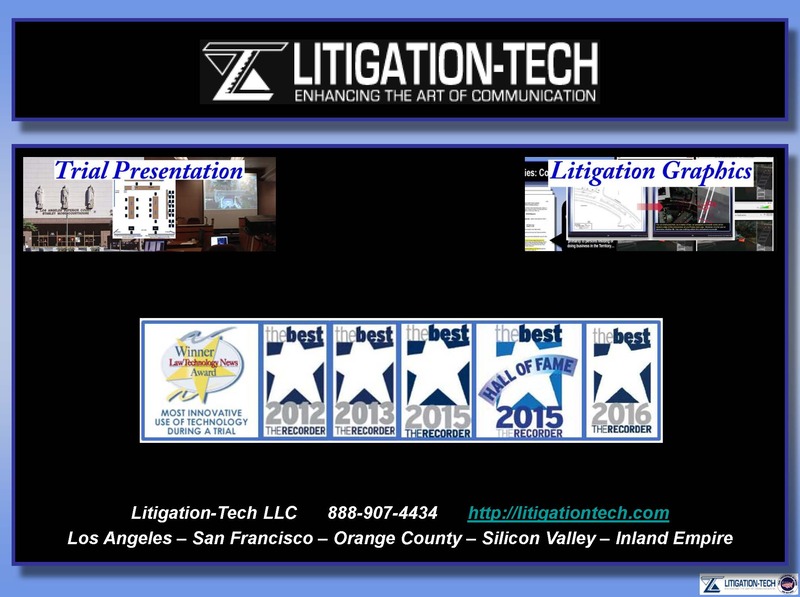 Generally covering technology in trial, we are happy to tailor a program to suit your needs. Availability is limited.